Home monitoring is especially important for people with high blood pressure and helps determine how effective current treatments are working. But what makes an effective home blood pressure monitor and how can you ensure accurate at-home readings? 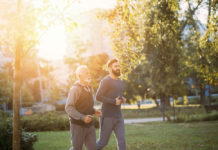 According to new guidelines set by the American Heart Association, adults 65 and older can lower their risk of heart attacks, heart failure, strokes, and even death if they are treated similarly to younger adults with a blood pressure of <130/80 mm/Hg. 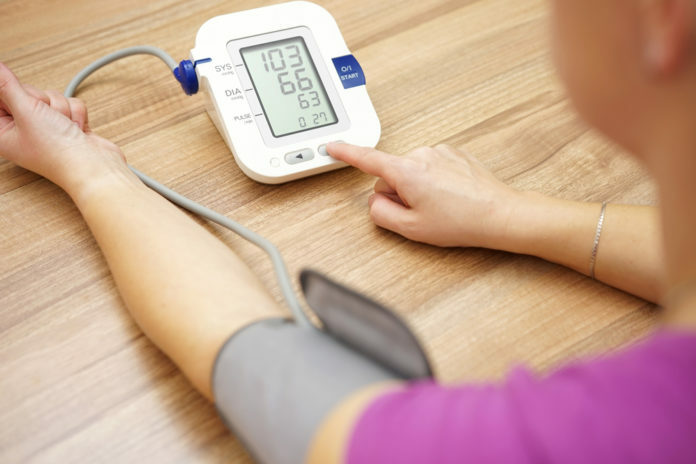 Home monitoring is especially important for people with high blood pressure, or medically known as hypertension, and allows you and your healthcare providers to determine how effective current treatments are working and mitigate threatening health risks. But what makes an effective home blood pressure monitor and how can you ensure accurate blood pressure readings? The Omron BP742N 5 Series is a budget-friendly, yet effective home blood pressure monitor that includes a cuff that fits standard and larger arms. Two users can store and review their last 50 readings each, with a total of a 100 reading memory with date and time stamps, in which the screen automatically displays the average of your last 3 readings taken within 10 minute. The monitor also compares your readings with normal home blood pressure levels while also monitoring for irregular heartbeats. If willing to fork out a little extra, the Omron 10 Series includes a preformed ComFit Cuff, which inflates securely around the arm to ensure correct positioning and precise readings, along with detecting irregular heartbeats. It also automatically displays the average of your last three readings taken within 10 minutes on an easy-to-read, backlit screen with extra-large digits. The Omron 10 is able to store the last 200 blood pressure readings, in which two users can store and review last 100 readings each, and syncs with your smartphone to allow easy access to this information from anywhere, even the doctor’s office. The Panasonic EW3109W model features a one touch operation and is easy-to-use. It displays a large LCD display for easier viewing, along with automatically flashing if readings are above 139 on systolic or 89 diastolic. The automatic memory feature can capture and save up to 90 blood pressure readings. Though being a little more expensive, Welch Allyn is touted as extremely accurate and you truly get what you pay for. Even if not tech savvy, the device is claimed to offer true simplicity and seamless connectivity, offering consumers a simple smartphone app to safely and securely share readings with loved ones and caregivers. Vive Precision is another budget-friendly blood pressure monitor, along with demonstrating to be individually tested for accuracy and reliability. The monitor is suggested to be user-friendly, baring a one button push-to-start design and a cuff that fits arms from 8 ¾” – 16 ½” in circumference. Blood pressure readings are easy to read thanks to its large LCD screen and automatically records up to 500 measurements with date and time for easy blood pressure tracking. Sit quietly for five minutes before the reading, along with remaining still during the test. Also do not smoke, exercise, or consume anything caffeinated for at least an hour beforehand. Sit with your back straight and supported, along with your feet flat on the floor and legs uncrossed. Also keep your arm supported on a table or other flat surface. Pull up your sleeve so the cuff fits around your bare arm, while placing it directly above the bend of the elbow. However, also check your personal monitor’s instructions for an illustration or have your healthcare provider demonstrate how to use it effectively. Measure blood pressure consistently at the same time each day. It is important to know levels tend to rise steadily through the day and usually peak in the middle of the afternoon, so take this into consideration if this is time in which you take blood pressure readings. Each time you measure your blood pressure, if the monitor does not track and store these readings for you, take two or three readings one minute apart and record the results. Take these readings to your doctor appointments, as they are valuable in determining, continuing, or adjusting your treatment plan. 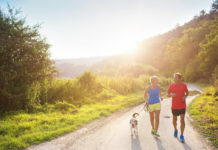 Maintaining a healthy weight through balanced meals and other lifestyle factors is key for controlling blood pressures and supporting heart health. And with Silver Cuisine, you can receive heart healthy and low-sodium meal options, with all meals falling at or below the American Heart Association’s (AHA) recommendations for calories, sodium, total fat and saturated fat, with less than 600 milligrams (mg) of sodium and 3.5 grams of saturated fat. In addition to the AHA’s heart healthy recommendations, founding physician Dr. Caroline Cederquist and nutrition experts craft scientifically-proven meals to facilitate weight loss and optimize health, all while satisfying the taste buds thanks to foodie Ed Cederquist and a team of seasoned chefs. From beef with mushroom marsala sauce and linguini to chicken pot pie, eating for a healthy heart will seem effortless! Discover the extensive list of meal options and more information on Silver Cuisine by visiting the official website here or by calling 844-404-FOOD(3663) today!